Dr. James Okamoto encourages those living in the region of Waipahu, Hawaii to schedule a blood pressure test at the Ka Wai Ola Family Medical Clinic. Diagnosing and treating high blood pressure as early as possible helps prevent heart disease and strokes. As your heart pumps blood through your body, the blood pushes against the sides of blood vessels. The force of that pushing is your blood pressure. When blood pressure is too high, the constant strain damages arteries. Then cholesterol traveling through your bloodstream gets stuck on the damaged areas, eventually building up and hardening the artery. Depending on which blood vessels are affected, high blood pressure can lead to a stroke or cause vascular dementia. High blood pressure also forces your heart to work harder, setting the stage for a heart attack. When high blood pressure injures blood vessels in the kidneys, you can end up with kidney failure. 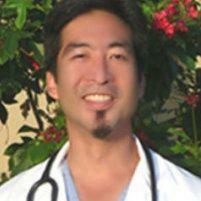 How does Dr. Okamoto treat high blood pressure? Dr. Okamoto will work with you to create a treatment plan that includes lifestyle changes, medications, and possibly weight loss. If you’ve developed any underlying health problems, they will also be treated. Healthy eating and exercise. Diet is a key component for lowering blood pressure. Almost everyone consumes too much salt and too little potassium. When that’s switched to lower salt and higher potassium, most people see a drop in blood pressure. Increasing physical activity also helps bring blood pressure down. Dr. Okamoto will help you devise a healthy eating and activity plan. Weight loss. As you lose weight, blood pressure usually goes down. If you need to lose weight, you’ll get a lot of support from Dr. Okamoto’s weight management program. Medications. You may need medication if lifestyle changes don’t get blood pressure under control. Many types of medications that work in different ways are available, so Dr. Okamoto will talk with you about which one is best for your condition. High blood pressure can be prevented and treated, but only if you have regular blood pressure screenings. The American Heart Association recommends at least one screening every 2 years if blood pressure is normal and more frequently if it’s high. Call the Ka Wai Ola Family Medical Clinic and schedule an appointment to check your blood pressure.